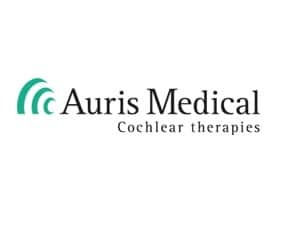 ZUG, SWITZERLAND — Biopharmaceutical company Auris Medical Holdings announced today that it has completed patient enrollment in the Phase 3 TACTT3 clinical trial of Keyzilen, in acute and post-acute peripheral (inner ear) tinnitus. The company’s investigative drug, Keyzilen, is esketamine gel for intratympanic injection, intended for acute peripheral tinnitus following cochlear injury or otitis media in adults. The drug received Fast Track designation from the FDA last year, which helps expedite the review process. The phase 3 trial has enrolled more than 365 patients during both the acute tinnitus stage (Stratum A) and the post-acute tinnitus stage (Stratum B), for evaluation. Studies have found that the disability caused by tinnitus is among one of the most common chronic medical conditions in adults. While there are recognized best practices in treating patients with tinnitus, there are currently no proven pharmacological treatments designed for treating the condition. Auris Medical’s TACTT3 trial is reported to be a randomized, double-blind, placebo-controlled Phase 3 trial for inner ear tinnitus, following traumatic cochlear injury or otitis media. The primary efficacy endpoints for the trial include either the improvement of tinnitus loudness or improvement in Tinnitus Functional Index score. According to the company’s announcement, top-line results from the Phase 3 trial are expected int he first quarter of 2018.